Carla Vella heads down the NSW south coast to discover a slice of paradise at Steamers Beach in Jervis Bay. After hours of shameless Facebook stalking one grey afternoon, I stumbled across the most beautiful picture of a beach. The water was saturated blue and the sand was almost snow white. ‘This can’t be in Australia’, I thought. However, I soon learnt that it was Hyams Beach from Jervis Bay Territory. I made a mental note to go there when the weather was warmer. So, after months of dreaming of this underrated gem, my boyfriend and I finally took the three hour road trip via the Princes Highway to Paradise. The drive itself was breathtaking – lush green hills, quaint countryside and inviting beach towns. When we had finally arrived at Jervis Bay, we paid a $10 fee to enter the Booderee National Park – a small price for a rewarding experience. 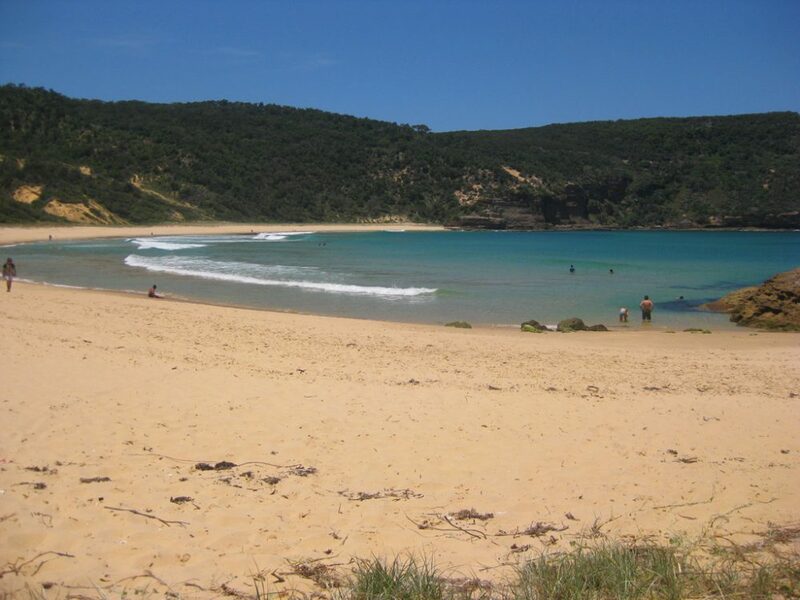 The area was first spotted by Captain James Cook in 1770 and as Aboriginal history goes, the native people of Shoalhaven were displaced by Alexander Berry’s takeover and transported to Wreck Bay. Today, the Aboriginal community has been recognised as the rightful owners of the area, claiming back over 90% of the land. Today, even in the middle of summer, the town itself is an eerily quiet place with its own police station, convenience stores and other facilities. Many tourists are attracted to the area, choosing popular Hyams Beach to take a dip – the beach that boasts having the whitest sand in the world. We didn’t make it down there as I wanted something quiet and secluded, away from flocks of tourists and noisy kids. We decided to venture further down the road passing signs to Cullula Bay and Murrays Beach. 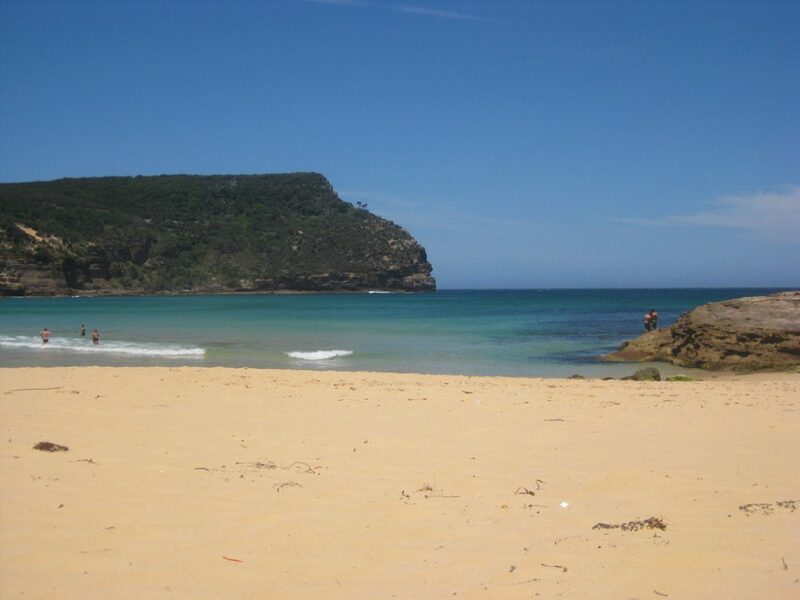 Wreck Bay was the desired destination however, the further we drove the less alluring it became. I decided to turn the car around and followed a new road which directed us to Steamer’s Beach car park. When we arrived, we discovered that the beach was a 2.3km walk from the car park and was only accessible via this trail or by boat. We hesitated, not knowing if it would be worth the effort. After minutes of trying to convince ourselves to take the risk, we took our first steps down the bushy trail. 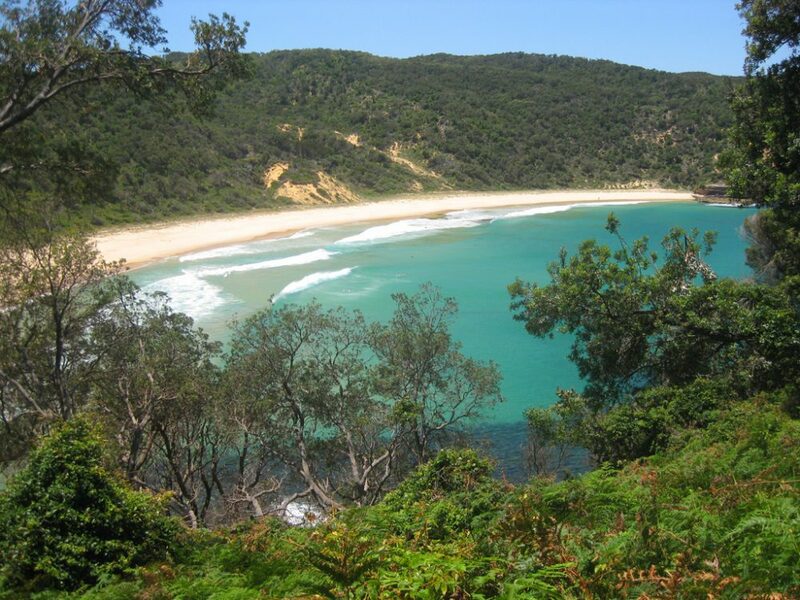 There are other trails available for those interested in bush-walking such as a thirty-minute walk from Steamer’s Beach to Brooks Lookout. The more keen and adventurous can take the two and a half hour walk from Brooks Lookout to St. Georges head. Most of the trail that we took is down-hill so we knew the hike back was not going to be as fun. But still, this didn’t deter us as the tall green trees and echoes of wild-life kept us company. We continued down the hilly path and twenty long minutes later arrived at about fifty very steep stairs. But at last, we could see tiny glimpses of the ocean through thick bush. As we walked further down, the branches started to make way for one of the most breath-taking views I have ever seen. Orange sand (possibly transported there due to a tsunami), crystal clear water, steep brown cliffs, a ruler-straight horizon and total isolation – everything I was dreaming of. It wasn’t the same beach I had seen in the Facebook photo – it was better! After our feet had finally met the soft sand, we liberally picked our spot (there were only about thirty other people on this large beach), set our belongings down and ran to the cool and calm waters. The next two hours were spent alternating between relaxing on the beach by soaking up some much needed Vitamin D and taking shorts swims in the ocean. I felt as if I had died and gone to tropical Heaven. It’s a site totally untouched by the masses. You are completely embraced by nature with not a glimpse of civilisation in sight. Unfortunately, we came totally unprepared for our little adventure and had no drinking water or food. So as we felt our tummies grumble it was time to take to the dreaded uphill trail, get back to the car and, sadly, back to reality. It’s a great place for couples and families to explore. Anyone can make it down there and back up (if I can, there are no excuses for anyone else!) and it is so worth it for the stunning beaches and lush greenery. Let’s keep this diamond our little secret. Easy walk to a fairly secluded surf beach. The very tall dunes behind the beach were formed by a “mega tsunami” which occurred around 6700–7000 BC.